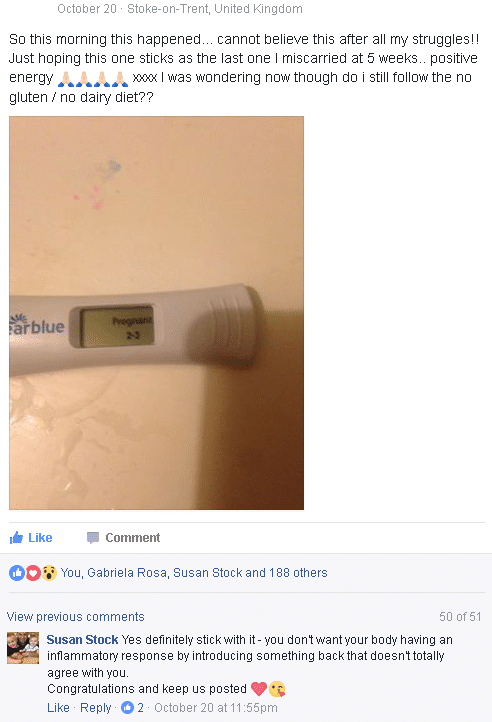 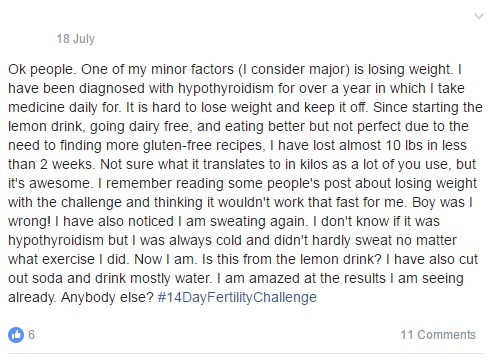 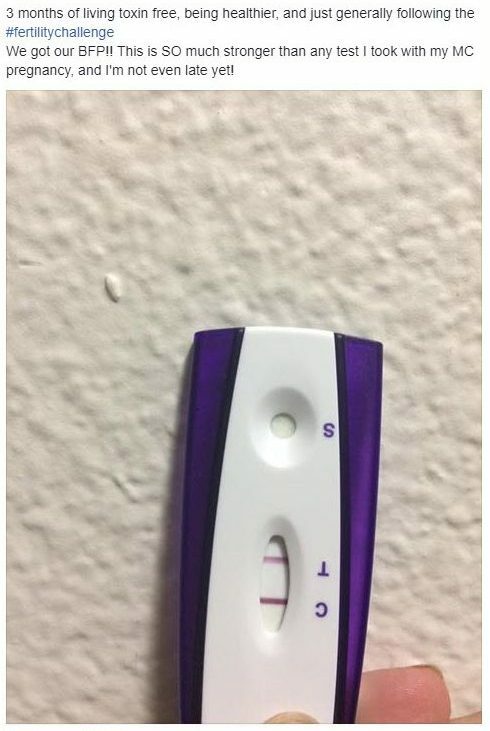 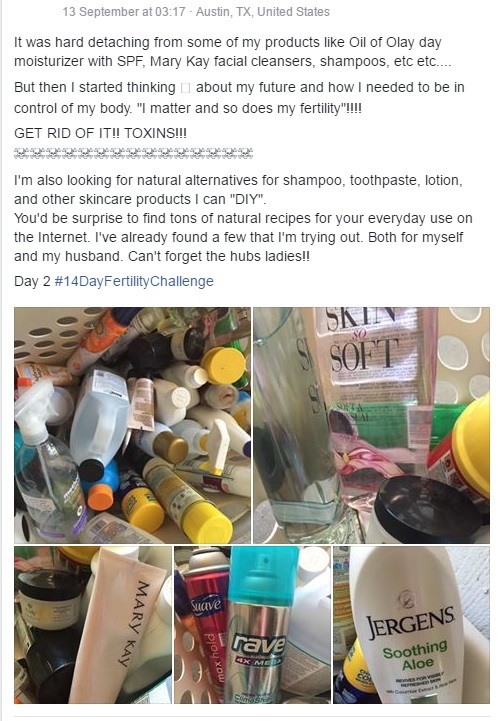 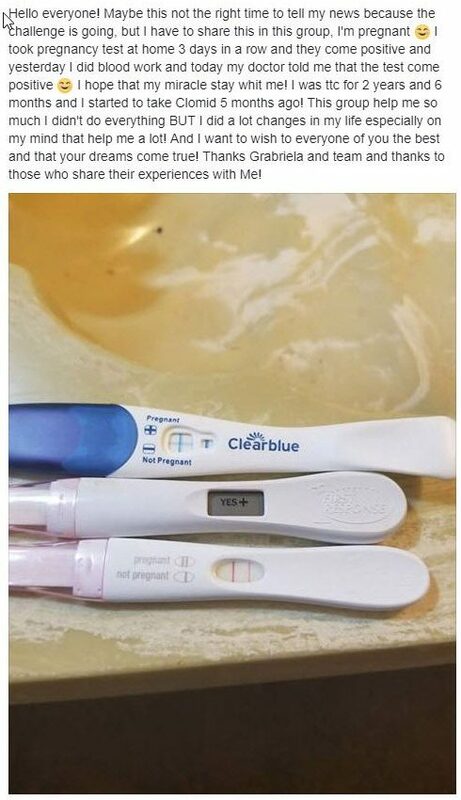 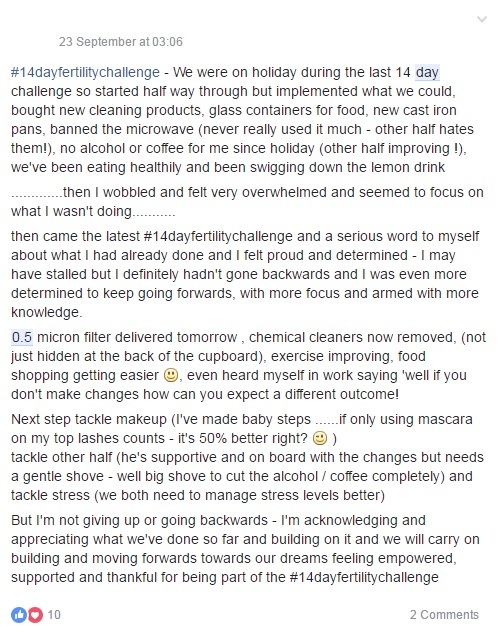 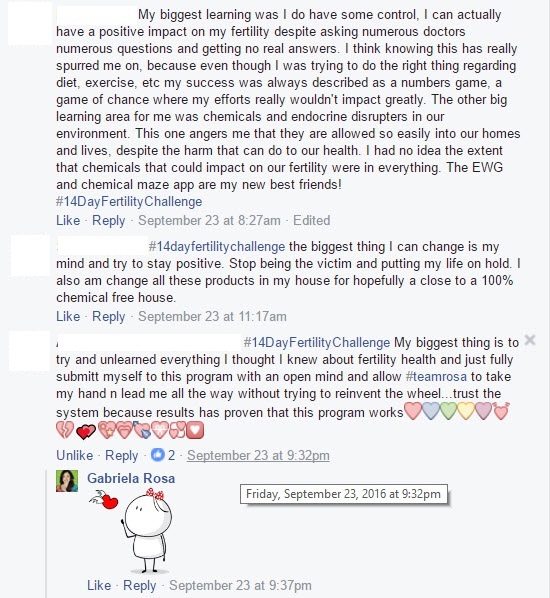 Welcome to my Fertility Challenge! 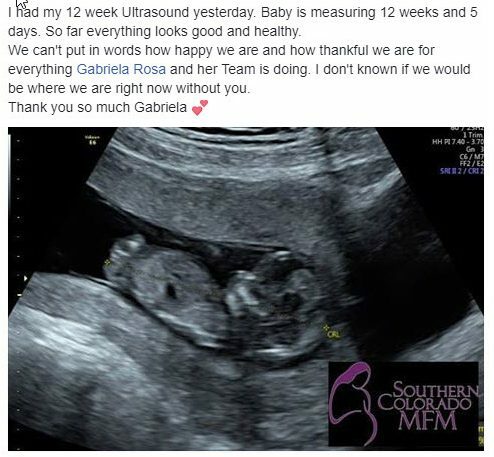 I am glad you’ve found us. 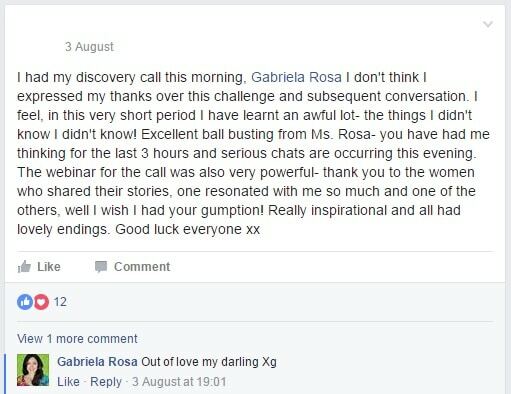 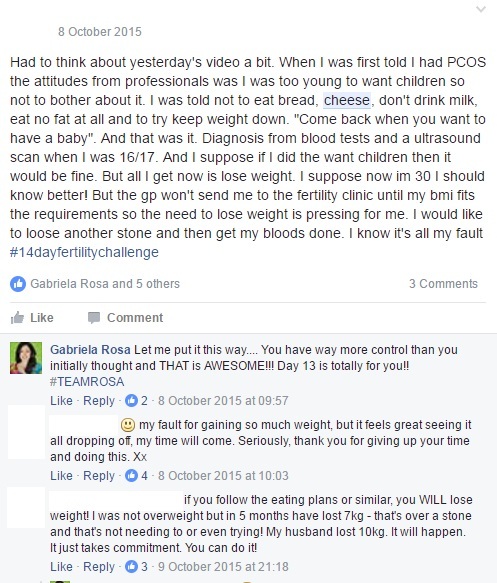 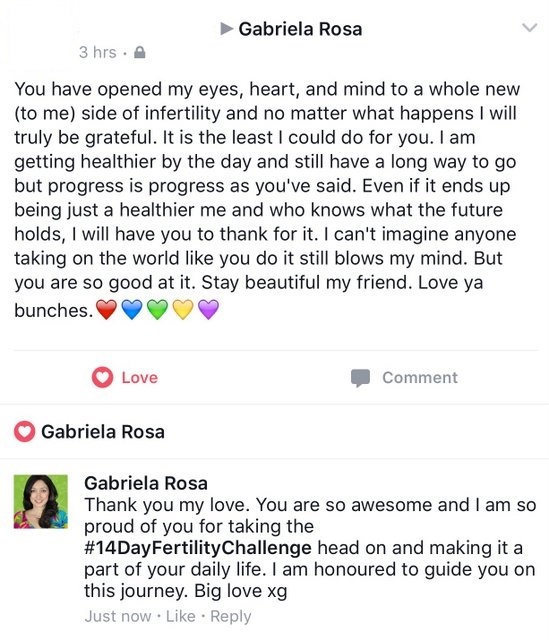 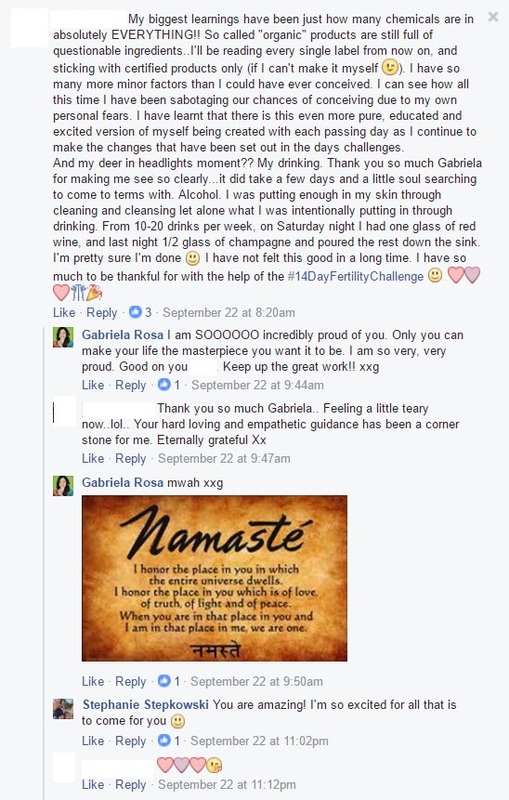 My name is Gabriela Rosa, I’m a fertility specialist, author and keynote speaker and of course founder of Natural Fertility Breakthrough.com and creator of the Fertility Challenge. 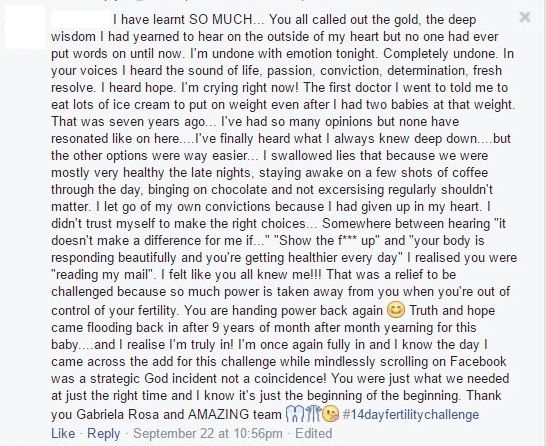 It is a privilege to welcome you to this life and fertility changing event! 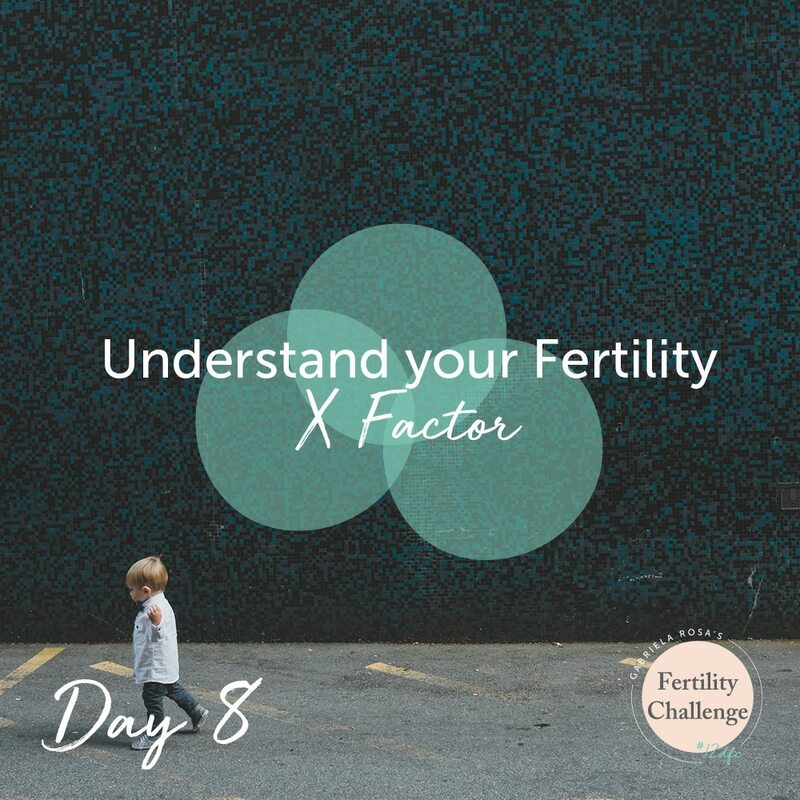 My Fertility Challenge is an education and action based series of online events, and activities designed to guide and inspire couples who have been struggling to conceive and/or keep a healthy pregnancy to term and take home a healthy baby for over 2 years. 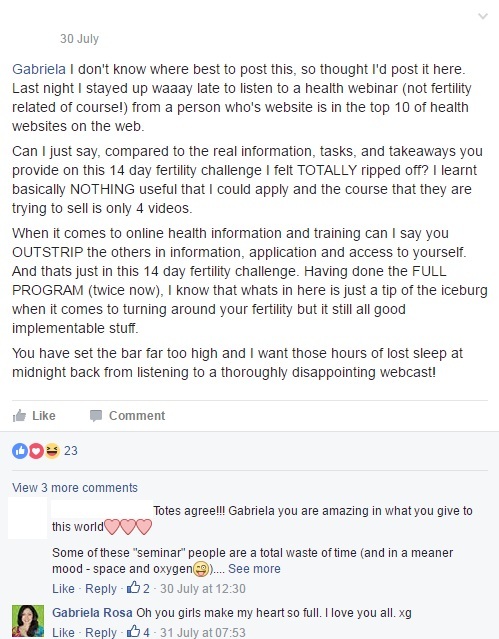 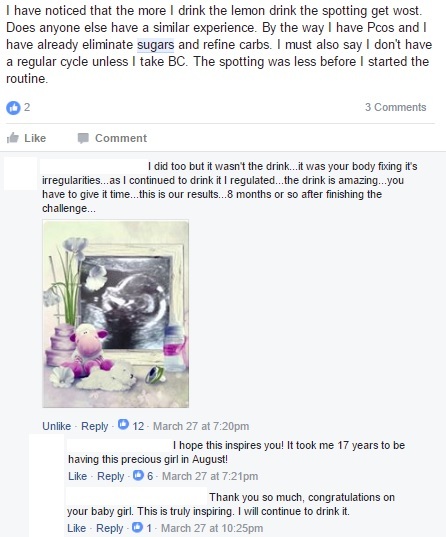 During this event you will learn and start to apply my 7 step FERTILE Method ® so you can begin to transform your results and optimise your chances of creating the healthy baby of your dreams. 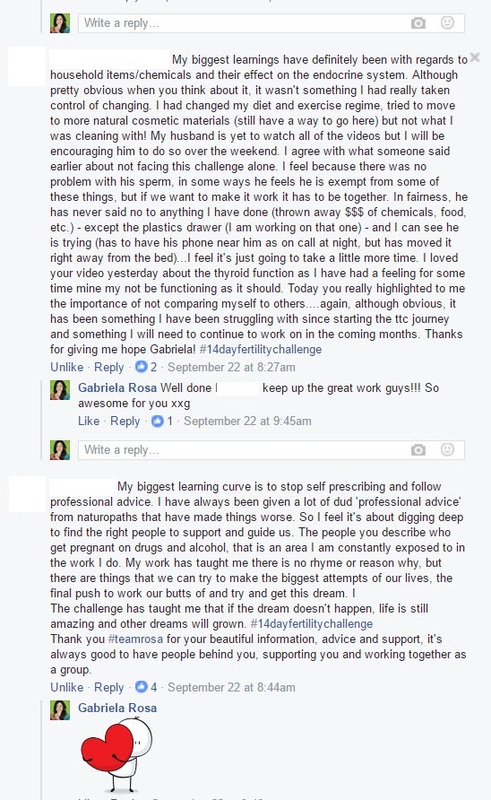 Everything you will learn, falls in the category of transformational IF you choose to diligently and consistently implement. 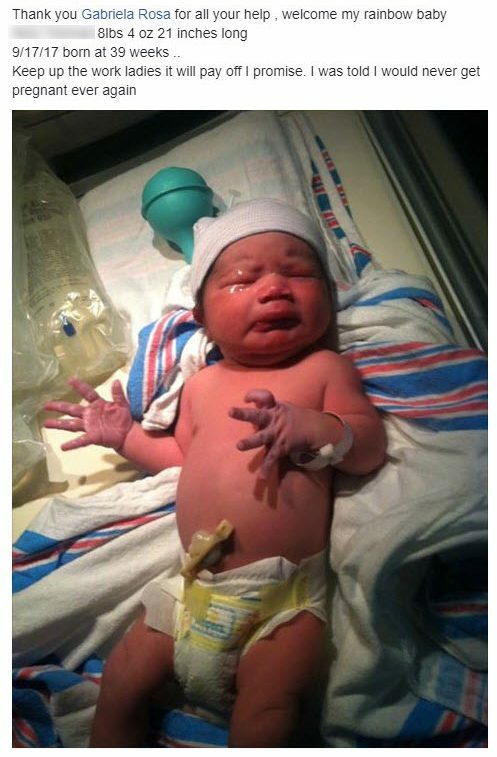 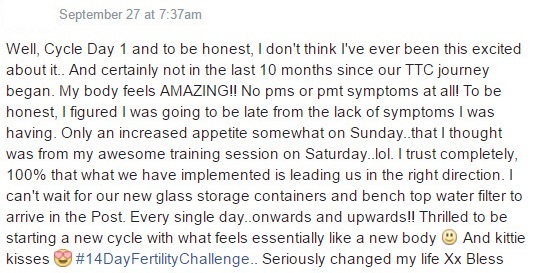 Put aside age, infertility, sperm abnormalities, medical complication, miscarriage, failed IVF. 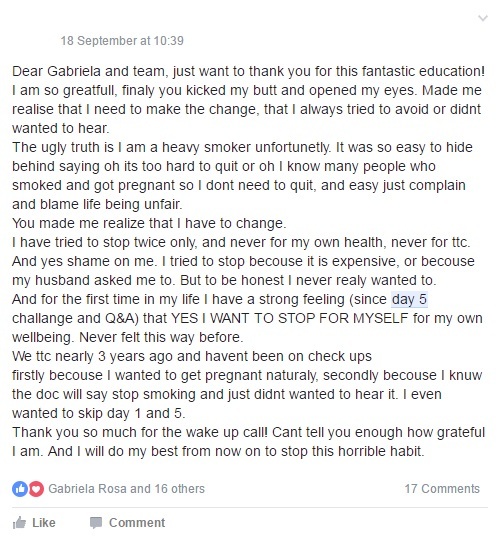 No matter what your unique situation is today, thousands have undertaken the forthcoming challenges and shared stories of how it changed their lives for the better, once they chose to fully commit and “Get Stuff Done”(#GSD). 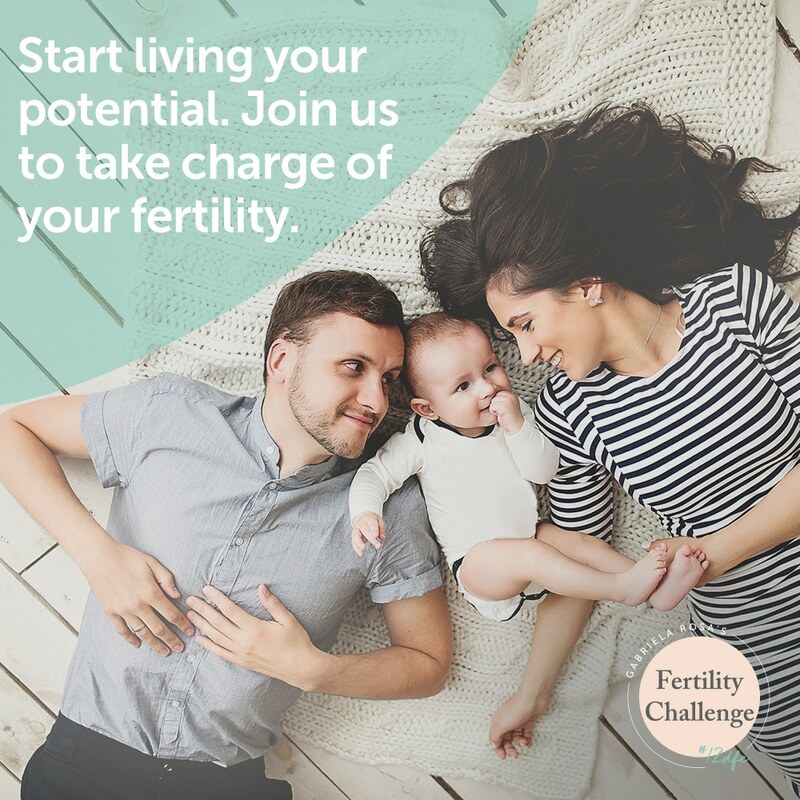 The Fertility Challenge is a proactive and applied learning experience and I’m here, to guide your discovery, to encourage and inspire your commitment and support you as you take charge of your fertility, your life and your results. 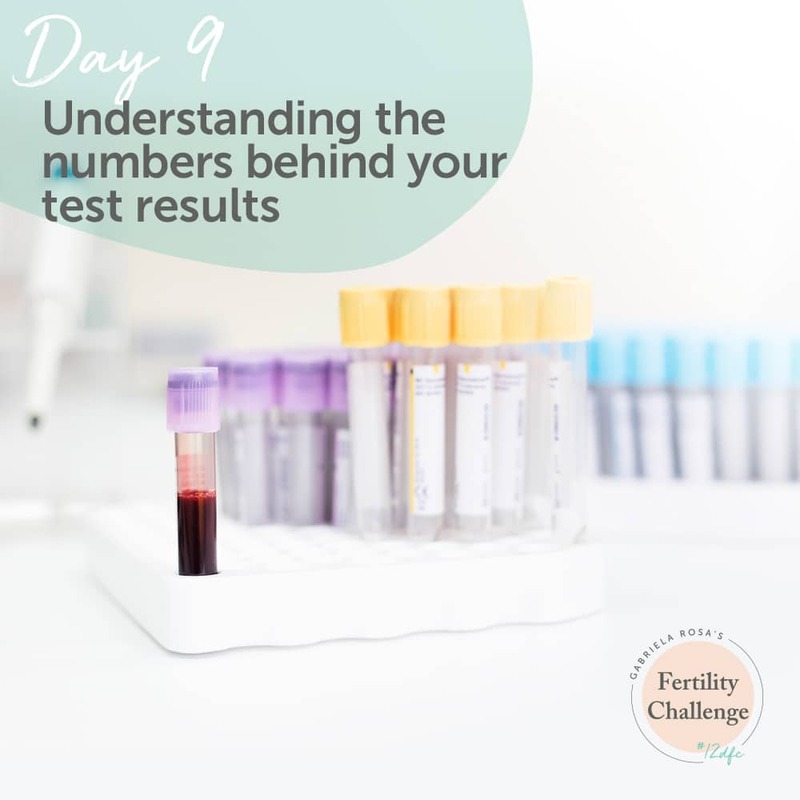 Find your strength, because when it comes to transforming your fertility, I can promise you there is hope, and incredible value in mastering and applying the basics. 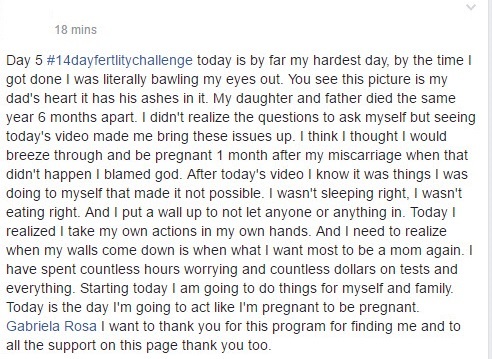 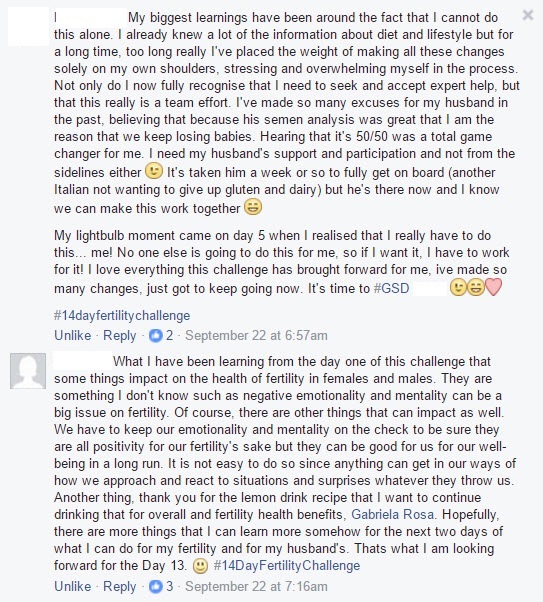 Register now to participate and be notified of the next #FertilityChallenge start date. 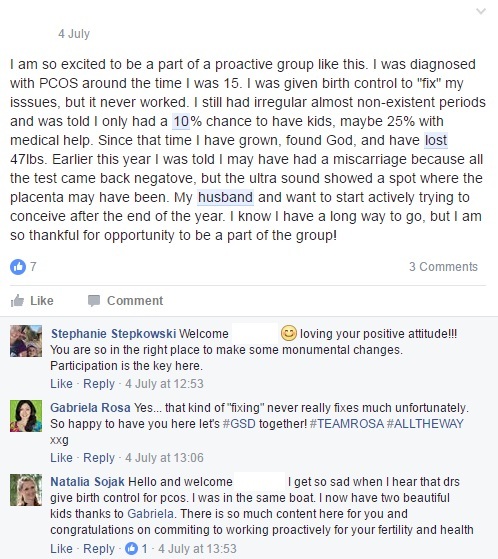 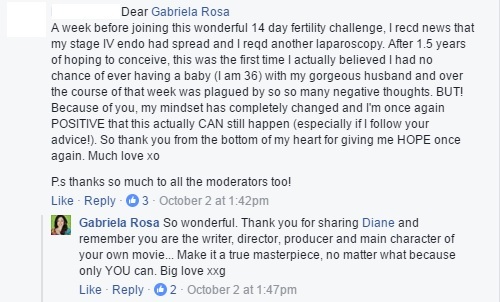 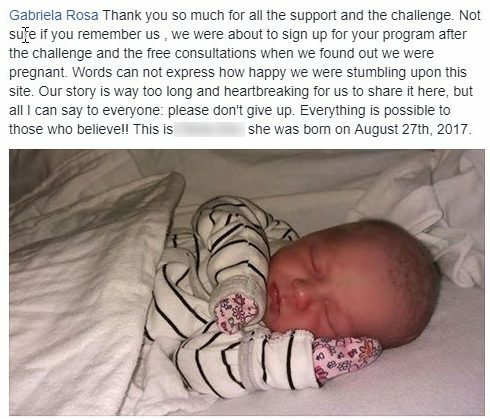 Register for Gabriela Rosa's Fertility Challenge! 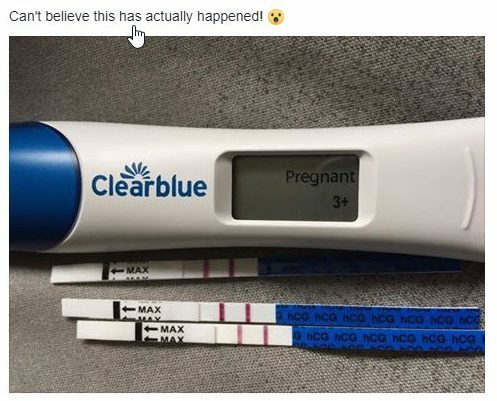 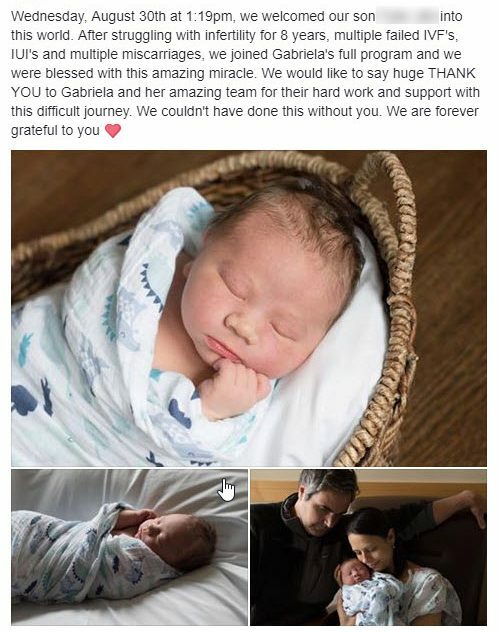 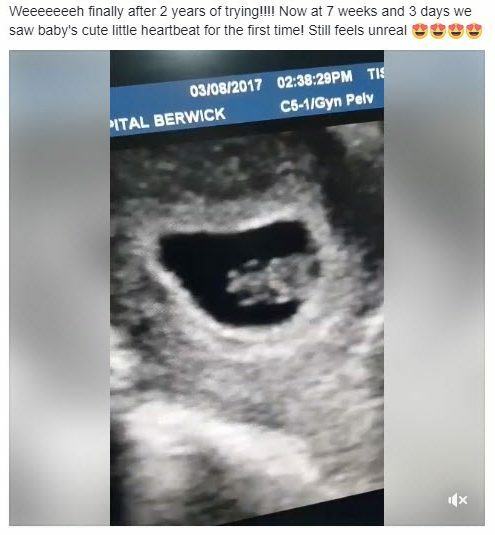 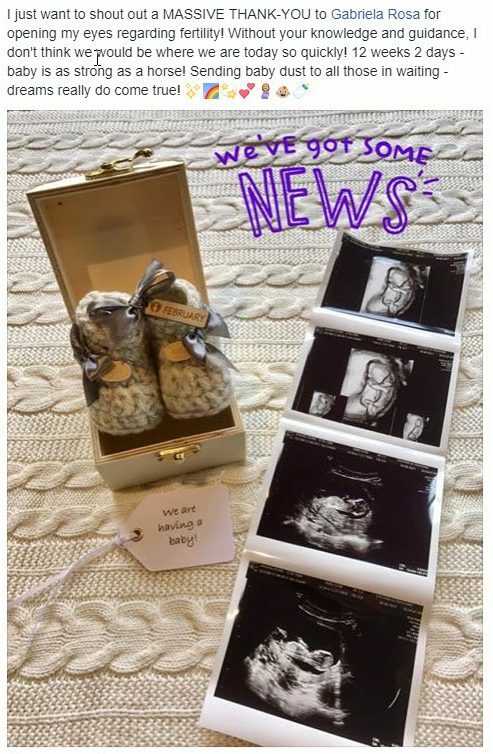 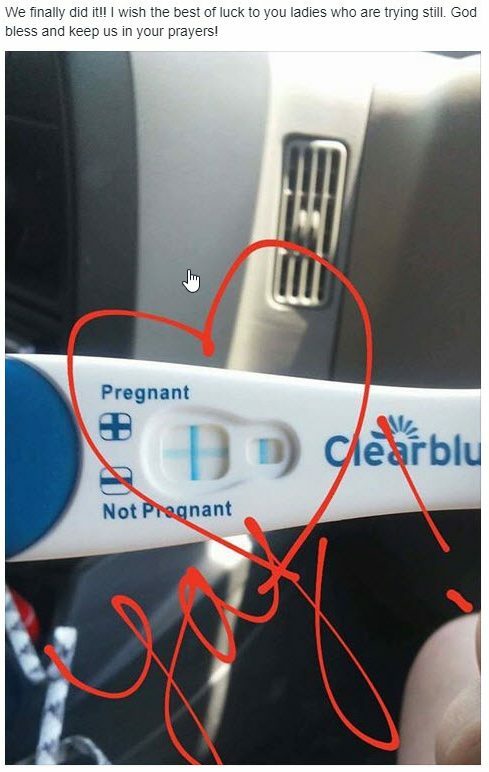 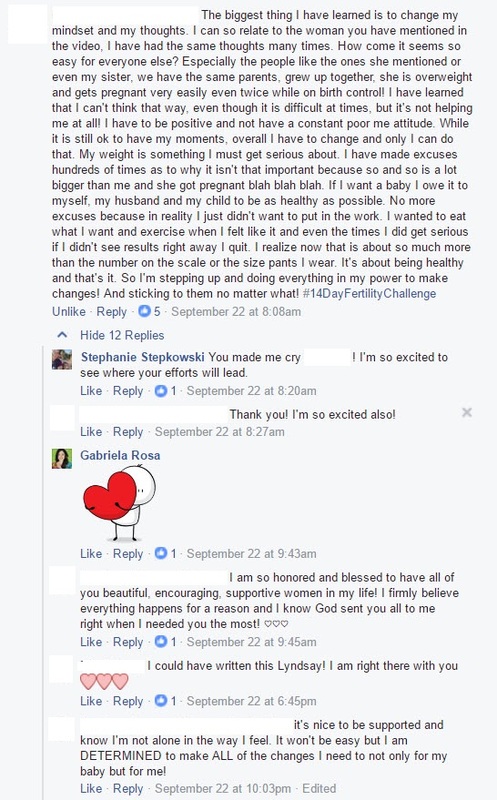 The goal is to show you a different way towards the healthy family you dream about; a better way; than what you’ve experienced so far – because, from my own personal and professional experience, I know what it takes for couples to move from struggling to conceive to living the dream of becoming a parent. 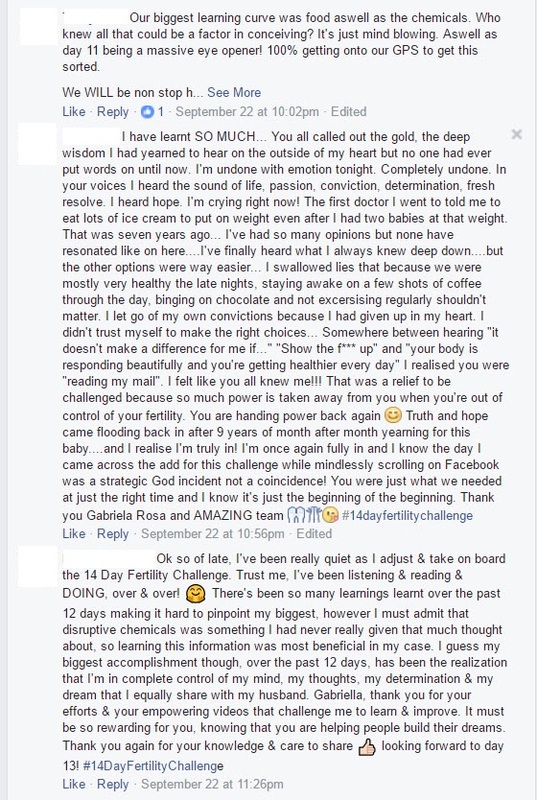 I’m really excited to be getting you started on this positive life changing journey. 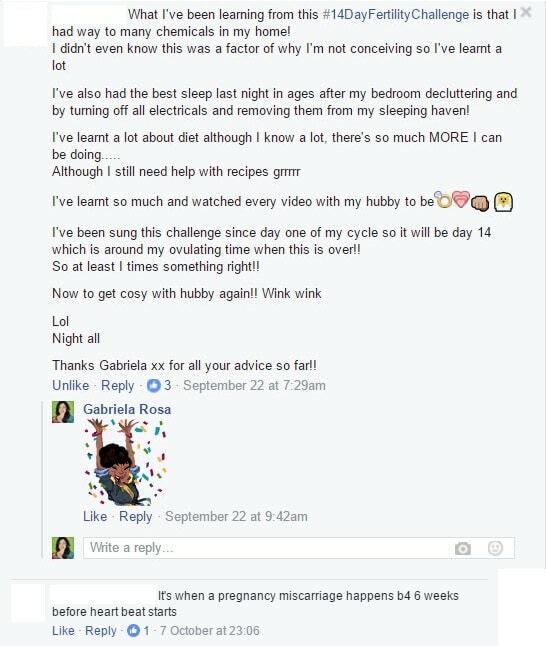 Simply enter your details below and I’ll send you everything you need to begin transforming your results today! 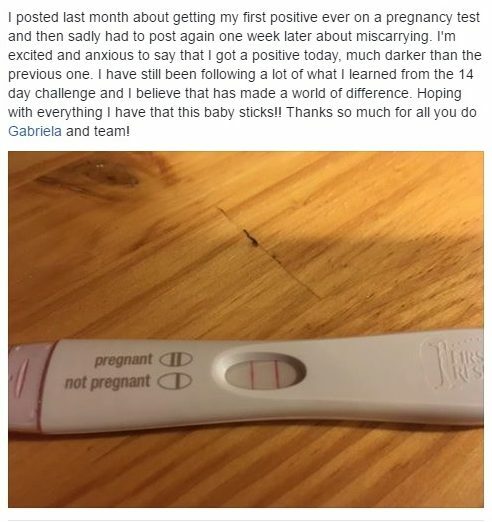 Cannot believe this after all my struggles! 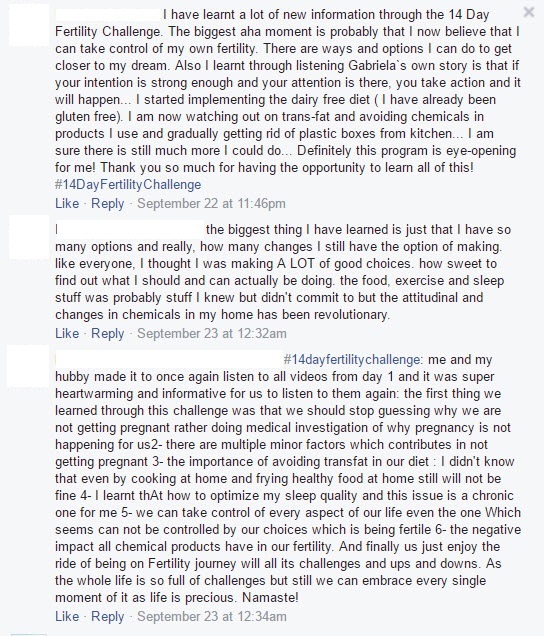 "…trust the system because results have proven that this program works…"
"…chemicals and their effect on the endocrine system…"
"…so much power is taken away when you're out of control of your fertility.."
"…Thank you for your empowering videos that challenge me to learn & improve…"
"…knowing that I’m not alone and amongst a great group of supportive people…"
" have lost 7kg…my husband lost 10kg…"
"…Diagnosed with PCOS…told I only had a 10 percent chance to have kids…"
"…the ugly truth is I'm a heavy smoker…"
"…started thinking about how I needed to be in control of my body.."
"You have opened my eyes, heart and mind"